​During the Battle Of Britain over 200 RAF aircrew were killed or listed as missing in the English Channel. Attrition among RAF crews during the Battle was always a major cause of concern, as whilst there was no shortage of aircraft, there was a shortage of trained aircrew. As the air war over southern England continued it became very apparent that RAF SAR provisions were inadequate, as many of the crews who came down in the Channel, could have been saved if sufficient means had been in place. It soon became clear to senior ranks in the RAF that it was unacceptable to lose highly trained aircrew through drowning and cold when in fact they could have been saved to fight another day. In order to address the shortcomings an emergency meeting was convened by Deputy Chief Of Air Staff (as he was then) Arthur Harris under instruction from Air Chief Marshal Charles Portal. The outcome of the meeting led to the Directorate of Air Sea Rescue being formed. The Directorate took up its duties at HQ Coastal Command on 6th February 1941. From this time on the RAF was tasked with providing SAR cover over land and sea with many souls, both military and civilian alike, owing their lives to the service. The RAF later went on to share the SAR role with counterparts in the Royal Navy. 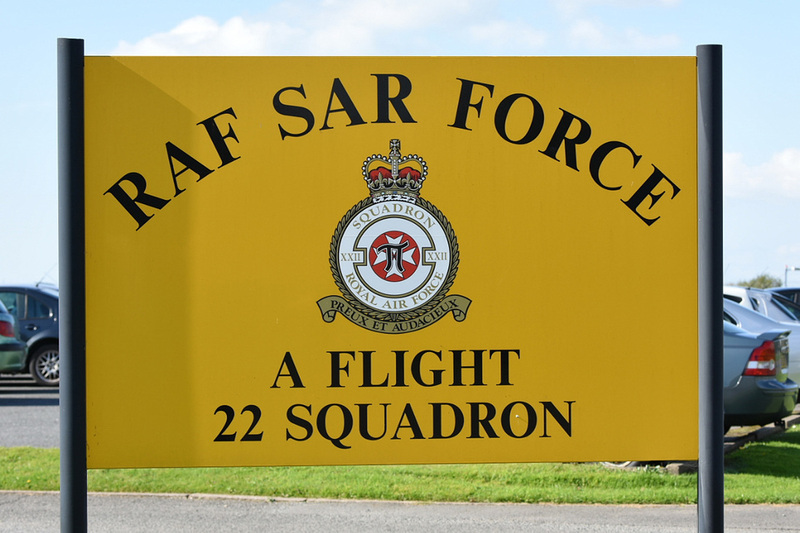 At 1pm on 4 October 2015 an era in one sector of RAF operations came to an end, when A Flight, 22 Squadron, based at RMB Chivenor, handed over the responsibility for Search and Rescue to Bristow Helicopters based at St Athan. This event ended over 74 years of search and rescue operations, provided by the RAF from bases located throughout the UK. 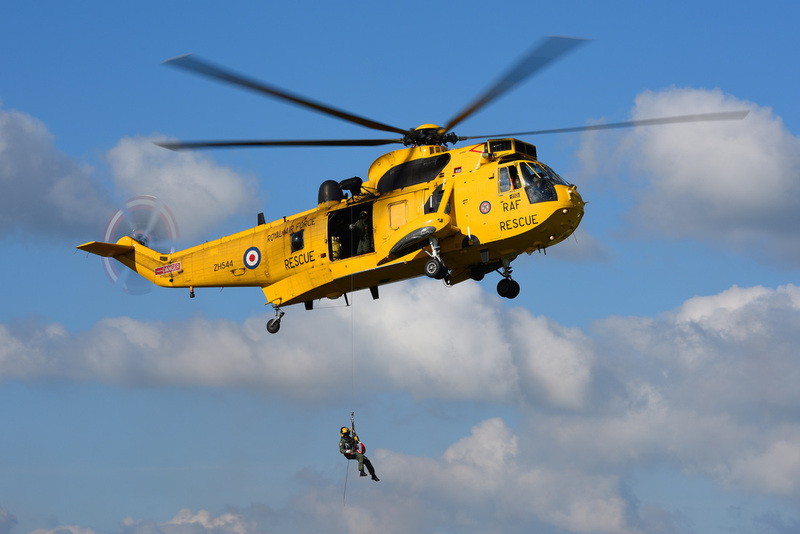 On 13 October 2015 Simply Planes was invited to “Farewell To RAF Search and Rescue – A Look Back At 74 Years of Life-Saving”. 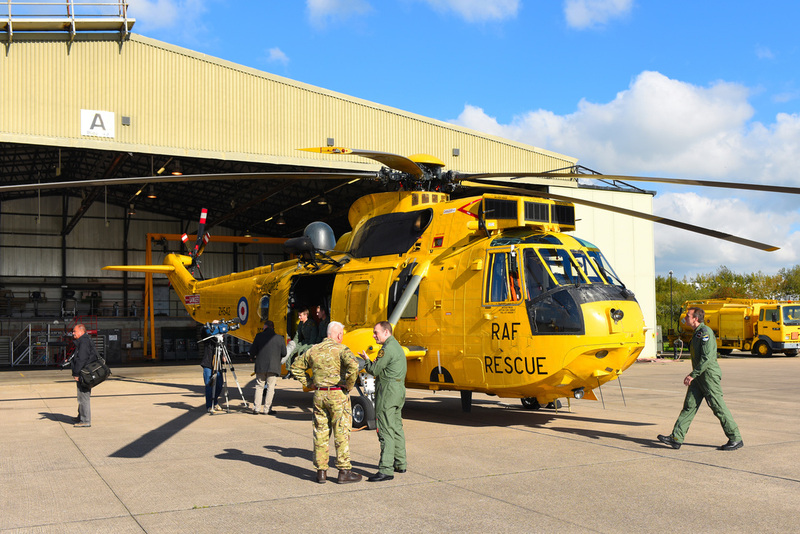 The event was staged at Chivenor to allow a last chance to see a role demo by a 22 Squadron Sea King HAR.3A and also to meet and interview members of the Flight’s crew. Among those present on the day were Group Captain S A Bentley (RAF Search and Rescue Force Commander), Wing Commander “Sparky” Dunlop (OC 22 Sqn), Flt Lt Christian J “Taff” Williams AFC (OC A Flight 22 Sqn), Flight Lieutenant Carey Morton (Pilot A Flight 22 Squadron), Sergeant Tom Wilson (Radar/Winch Operator – A Flight 22 Sqn) and Flight Sergeant Dan Whittington (Winchman – A Flight 22 Sqn). After introductions from the Commander and the OC, the chance was taken to talk with various crew members. From these conversations it could be ascertained that there was a huge amount of pride in the Search and Rescue role that until recently the crews had undertaken. Also very apparent was the great affection in which they held the Sea King helicopter and a perceptible sadness that the helicopter was being retired. It was also clear crews that had bonded together to provide a cohesive team were soon to go their separate ways to new postings. On the day it was fortunate that the weather gave the gathered crowd blue skies with a few scattered clouds, although with a keen autumnal wind. Much appreciated was that the organisers had recognised that the sun’s position could give problems with regards to filming and photography. As the interviews ended those filming and photographing the role demo were taken across the airfield to a position that allowed the sun to shine on the Sea King as it performed over A Flight’s home turf. A familiar sound soon resonated across the Devon countryside as Sea King HC.3A ZH544’s twin Rolls Royce Gnomes spooled up, it was one that had probably been heard and taken for granted over many years, but one now that will surely be missed. Like many things in life you don’t miss it until it’s gone. As the spectators watched the oleos on the Sea King’s undercarriage lengthened and the helicopter took to her natural element to position for the start of the demo. ​The Sea King then departed to undertake some general handling practice. The crews are remaining current on the aircraft until November to train personnel who are taking over the SAR role in the Falkland Islands. The airfield fell back into silence as the return of the Sea King was awaited. Whilst the Sea King was away Flight Sergeant Dan Whittington gave a small group an internal tour of HC.3A ZH542 and described what it takes to operate in such an environment and the equipment used. It was with great interest that we learned that the Sea King could be flown by the Winch Operator from the fuselage access door. After about 40 minutes the helicopter came back to the airfield and flew several circuits before landing and shutting down. By this time most of the media had left but a few of us hung on to catch what will be one of the final flights of an RAF SAR Sea King. This was a very special day and one that will live in the memory for a very long time. One can only imagine the memories that live on from those that have been plucked from land and sea to see another day, and of those who have made it possible. Many thanks go to Chris Cannon for the invite to attend and to Squadron Leader Dave Webster for organising the event.